A typical wedding of the couples, who decided to take the next big step of being together, happens either by having the ceremony and the receptions held at the backyard, or have it organized in a heavily-decorated venue. Either way, what matters most is they will be able to get married and be together legally. Yet, as the years pass by, the way couples celebrate their holy matrimony have undergone dramatic changes where the events that have first begun at the backyard, then to a special venue have finally reached abroad. The idea might be too good to be true, but destination weddings are increasingly becoming more popular than the traditional wedding nowadays that spending for destinations weddings and honeymoons has spiked up this year with Millenials and affluent travelers as the leading spenders. Destination wedding become one of the must-try in the wedding industry today. And because of this several travel industry experts have to prepare lots of destination wedding and honeymoon budget packages just to accommodate the growing demands for it. And what makes destination wedding very popular to millennial couples are the specialized requests that include the after-parties and spa amenities for the guests. Aside from the aforementioned specialized requests provided in destination weddings, another factor that wedding experts see in the growing market for such wedding is the freedom of the wedding couples to select a handful of family members and friends to be invited in the intimate event. But no matter what the factor have encouraged the wedding couples to opt for destination weddings rather than lavish traditional weddings where almost the whole community is invited, the following are the proven reason that have been responsible in persuading couples to take the wedding to the foreign land. In preparing the every detail of the wedding, the couples have to attend each and every meeting with potential wedding vendor just to get the best services they wanted for their special day. And keeping the preparations hands-free would really require much time of the couple in finding the most affordable wedding service. This makes traditional wedding a disadvantage. • There are honeymoon-happy resorts and cruise lines that offer easier and more appealing wedding on-site. The package offered by such resorts and cruise lines already include full-time wedding coordinators who are familiar with the wedding requirements, as well as packages that take care the ceremony essentials including cakes, ministers, DJ, photographer, etc. All you need to do is to step off the plane, sign the agreement and they will do the rest. As simple as that. • If marrying in the resort is not what you prefer, you can always hire a stateside wedding planner that specializes in destination weddings or contact a wedding planner in the specific town where you wanted to be wed. But if you want to do the preparation early for your destination wedding by yourself, might as well consider hiring a wedding planner and a good logistics that will help you in pulling off the wedding reception and the party off your concern. Couples could still make their wedding memorable without spending too much. Together with their friends and families, couples could have an intimate wedding anywhere in the world without worrying that the budget will skyrocket to an all-time high. Compared to a traditional wedding where there are 150 plus guest that will attend the celebration, the possibility of a hike in cost is inevitable because destination weddings come in affordable packages where every wedding essential are included. Wedding Celebration and Vacation at The Same Time. Through destination wedding, you will be able to have a vacation with your loved ones at the same time, especially if the wedding location will be held on a state or country that you always wanted to go to. Compared to a traditional wedding where you run here and fro to get everything prepared, with destination wedding what you will need is to sign the papers and wait for the wedding day. And as you wait for that momentous day, you and your family and some friends will be able to have days of fun strolling around the place. Wedding photographs are very important because this commemorates the special day where you became husband and wife. 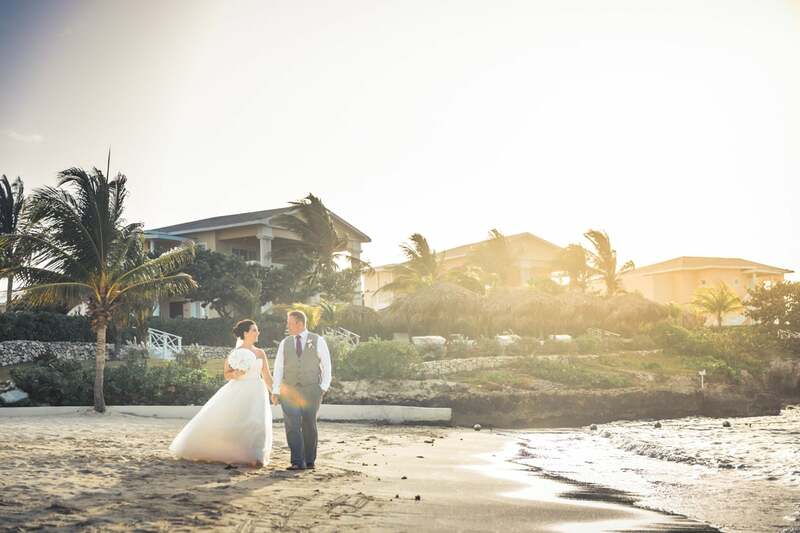 And through destination weddings, you will be able to have wedding pictures that you will truly keep because you will have access to the different sceneries in the venue of your wedding – far different from the usual weddings in reception halls. If you want quality photos for your wedding, you should bring with you the best wedding photographer in your locality rather than hiring a photographer that you are not comfortable to pose pictures with. These are some of the reasons that make destination weddings popular to many couples who want to get married these days. The idea, at first, might make you think that it is expensive, but when you think about how it can effectively downsize the number of guests, it’s the same way as shrinking the possibility of spending too much for the wedding and get way beyond the initial budget. What destination weddings truly provide is a hassle-free wedding celebration that does not compromise the memories of getting married.